All of our buildings have been completely remodeled and updated in the last 10 years! 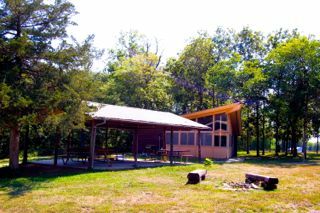 Scroll down to discover more about our: Dining Hall, Cabins, & Chapels! Contact our office for the most current rates! – 4,155 sq ft building with 1,000 sq ft back porch. – 29’x78′ Dining Area can comfortably accommodate 125 people for meals with additional seating on the porch for larger groups. – Wood burning fireplace and seating area. – Kansas Department of Health and Environment licensed kitchen staff that can provide delicious meals for your group. 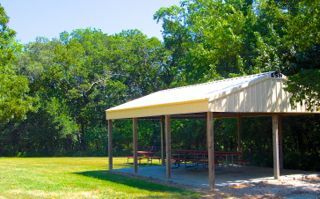 Simply walk off the back porch of the Wolf Den straight into our outdoor amphitheater. 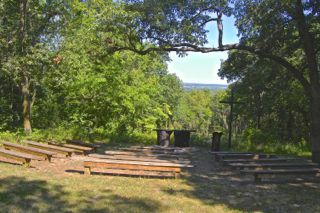 Nestled in the trees, this space provides for a wonderful worship experience or community gathering. 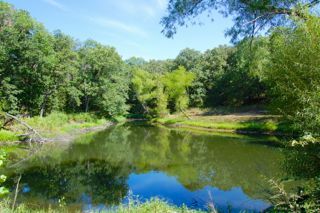 There is instant access to trails, creating a great spot to convene before or after spiritual walks. 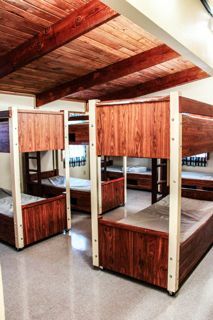 – 2 dorm-style bedrooms with 6 bunk beds in each room. Cabin can accommodate up to 24 people. -2 small bathrooms with sink, toilet, and shower in each. 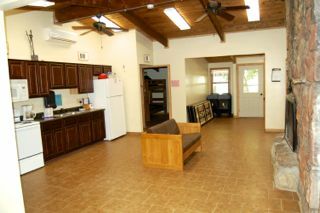 -15’x19′ meeting area with a kitchenette, appliances, utensils, table and chairs. The cabin has a full size oven, stove, refrigerator and freezer. 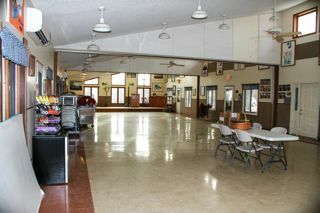 -This building is heated during the winter and air conditioned for the summer and is the closest to the Dining Hall. -Recent renovations have added a shelter house to the north of the cabin and a deck. 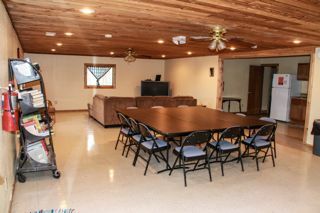 *Our North and South cabins have identical floor plans and all of our cabins have a fire pit area. -1,400 square foot building with 3 bedrooms with dorm style bedrooms. Each bedroom has 5 twin beds and 1 full size bed. This cabin can accommodate up to 22 people. -2 small bathrooms with a sink, toilet, and shower in each. – 19’x37′ meeting space with a large sectional sofa, a recently remodeled kitchen with full size refrigerator, freezer, oven and stove, utensils, tables and chairs. 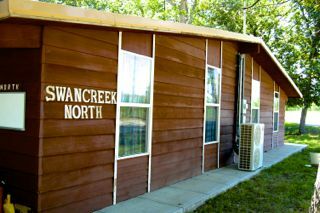 -This cabin is heated during the winter and air conditioned during the summer and is located between North and South Cabins. -This cabin does not feature a shelter house, but it does have a fire pit. 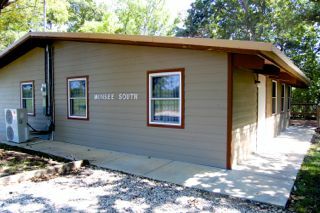 -1,485 square foot building with 624 square foot wooden back deck. 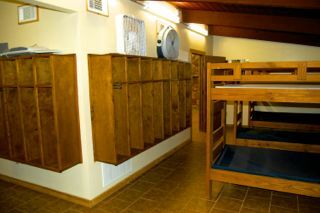 -2 dorm style bedrooms with 6 bunk beds in each room. This building can accommodate up to 24 people. -2 small bathrooms with sink, toilet, and shower. -13’x30′ meeting space with wood burning fireplace, a kitchenette that includes full size appliances, utensils, tables and chairs. -This cabin is heated during the winter and air conditioned during the summer and is located between Middle and Asbury Cabins. 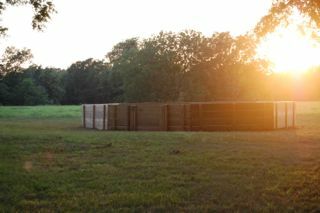 -4,000 square foot building with 385 square foot wooden back deck. -This is our largest cabin with 4 bedrooms – 2 rooms with 5 bunk beds each, and 2 rooms with 8 bunk beds each- accommodates 52 people. This cabin is fully handicap accessible. 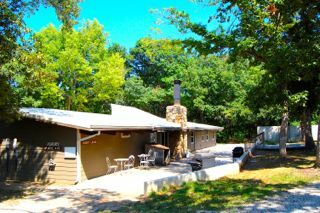 -This cabin has a large 28’x41′ meeting space, wood burning fireplace, full kitchen with appliances and utensils. The kitchen includes 2 full size refridgerator/freezers, stoves, and ovens. -2 large bathrooms that are handicap accessible with 3 showers stalls and 3 toilets in each bathroom. -This building is heated during the winter and air conditioned during the summer and is located about 1/4 mile from the Dining Hall and right next door to the storm shelter. 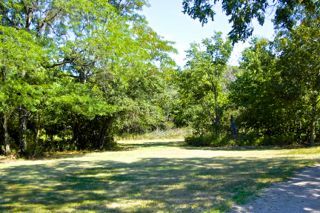 -This cabin features multiple shelter houses close by and a large fire pit area. 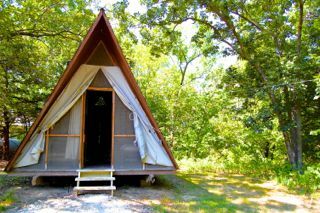 – 450 square foot arrowhead shaped lodge, with wood burning fireplace, meeting space, kitchenette, appliances, utensils, tables and chairs. The Lodge has air conditioning. -4 A-Frames, 12’x20′ wooden shelters with shingled roofs and screened open ends each have 1 bunk bed and 4 single beds that will accommodate 6 people each for a total of 24 people. There is electricity in the A-Frames. 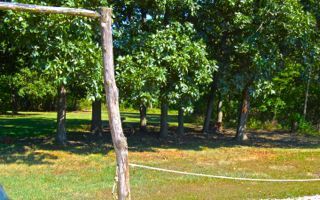 -There is a tether ball pole along with a number of trails around the area. -This area is located approx. 1 mile from the rest of the main camp area. 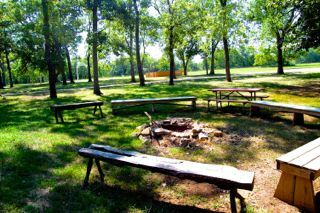 -Fire pit and Picnic table are available. -Multiple spaces to choose from. -Use of the Pool Bathhouse is included. -No electricity or water at sites. Coldsmith’s shelter to the north of the lodge has power outlets. 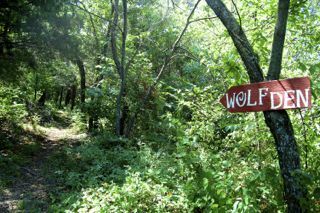 -Located about 3/4 mile from the main camp area. Close to Coldsmith Lodge. -Wonderful view over the valley. -Available to all groups staying overnight, and can be reserved for a Day Use event. These areas are included in the overnight rate. They can be reserved for Day Use as well. 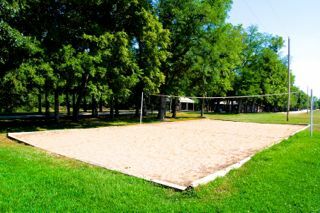 Miles of trails, Sand Volleyball Court, Kickball/Softball Field, 2 Gaga Ball pits, Basketball court, Fishing Ponds (catch and release), and much more!